Black, green, white, and oolong teas, as well as herbal infusions, have numerous health benefits, starting with hydration. Infused with fresh, vitamin- rich fruits, they become a fun and delicious way to increase your liquid consumption without turning to commercial drinks that may be high in calories and artificial additives. Cold brewing tea allows the leaves and other ingredients to slowly infuse the water and is, according to Mimi Kirk, the best way to achieve a smooth taste and extract the antioxidants and other benefits from the tea. For cold days or when you’re under the weather, her hot water infusions will warm and soothe. Information about the health properties of each ingredient and gorgeous photography make Tea-Vitalize a resource readers will turn to again and again. 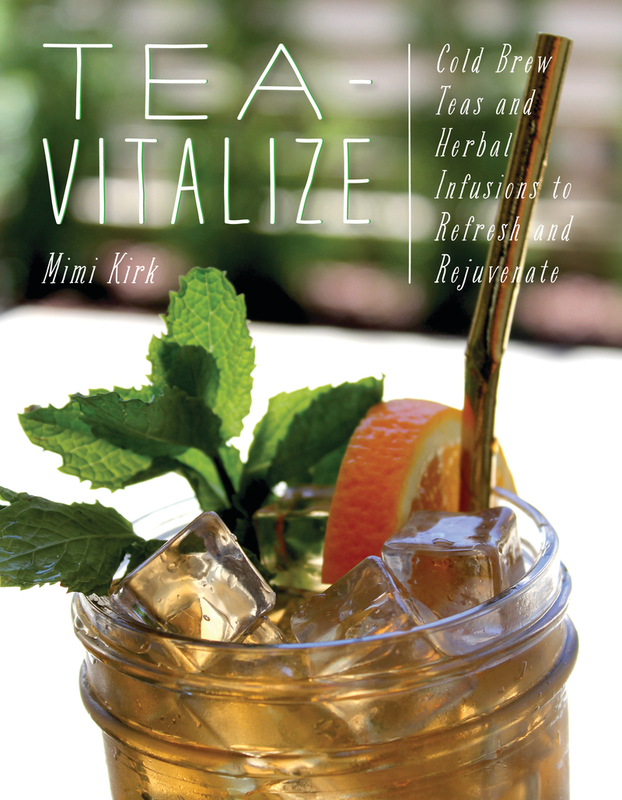 Mimi Kirk is the author of numerous books including Raw-Vitalize and The Ultimate Book of Modern Juicing. Voted PETA’s sexiest vegetarian over 50, she has appeared on The Dr. Oz Show and The Doctors; and has been featured in Thrive, Edible Communities, Huffington Post, VegNews magazine, and other publications. She lives in San Diego, California.